Happy New Year! As we’ve stepped into 2017, we would like to congratulate everyone with a new year of innovations and new opportunities for everyone working in the field of web design. 2016 has brought us a number of new cool releases. Templates.com inventory has been updated with GPL-licensed solutions, multipurpose templates, the ones enhanced with drag-and-drop builders, and so much more. December was productive like never before. We’ve seen a record number of downloads of both business and eCommerce themes. The designs and purposes of use of best-sellers are diverse. Some users gave preference to classic minimalist niche-specific solutions, while others opted for feature-rich multipurpose designs. So, what templates were downloaded more often than others in December 2016? Take a look at the following compilation. 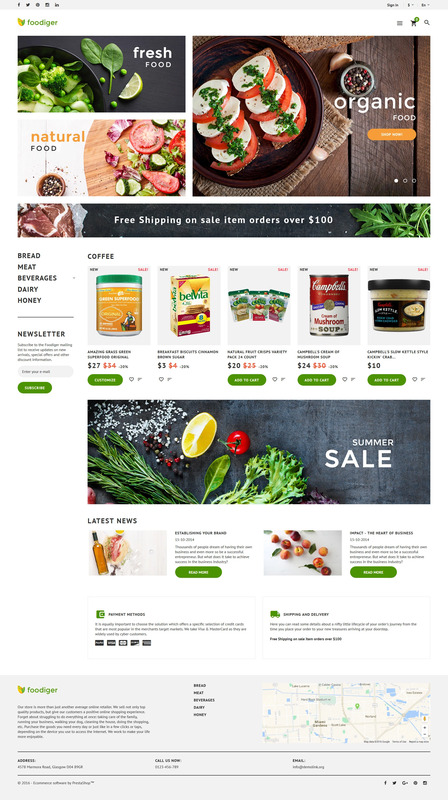 The theme is best suited for eCommerce projects selling food and drink. The layout is clean and quick-to-scan. Bold product banners in the header of the homepage welcome site visitors to check out special deals. Animation effects that the theme comes loaded with impress. Categories menu is moved to the left sidebar. 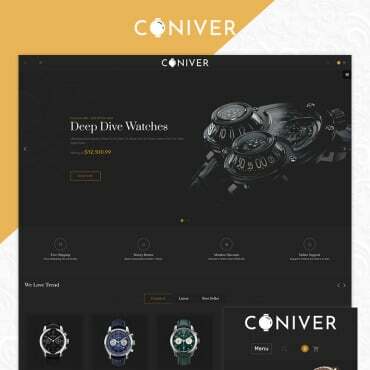 All navigation elements are bold and recognizable, providing the users with a seamless shopping experience from handheld devices. 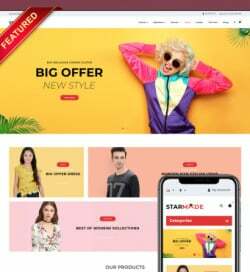 This is a fully responsive eCommerce template designed and developed as per the latest web standards. It combines extensive online shopping and blogging functionalities under the hood. The template features a MegaMenu and Ajax search, both of which are intended to enhance and facilitate the users’ shopping experience. Advanced sorting options, product badges, and product carousels are also added to help buyers with decision-making. Easy and intuitive, the template is intended to be used by people of different backgrounds equally well. It features a flexible and dynamic layout. WordPress Live Customizer allows you to apply quick changes to the template and see them live straight away. 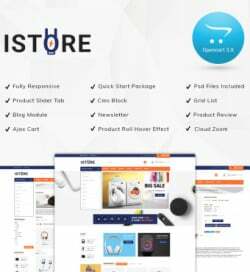 This is a powerful eCommerce solution that comes licensed under GPL v3.0. Smart products sorting and product categories tabs make the assortment of the site look structured and well organized. The template will become a rock-solid starting point of a variety of entertainment web projects. It comes with support of cool photo sliders, galleries, audio, and video content. Non-standard content presentation provides for a more captivating presentation of data. The theme is fully responsive. MegaMenu remains fixed to the top of the page. The template is best suited for building medical and healthcare websites. The layout looks fresh and clean. Whitespace provides for better readability and quicker scannability of the content. 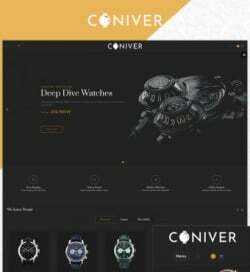 A minimalist design of the template is spiced up with cool visual effects, providing for a more captivating browsing experience. The template will work perfectly well for building corporate and personal business sites. It comes loaded with everything needed for an effective presentation of written and visual data on the site’s pages. 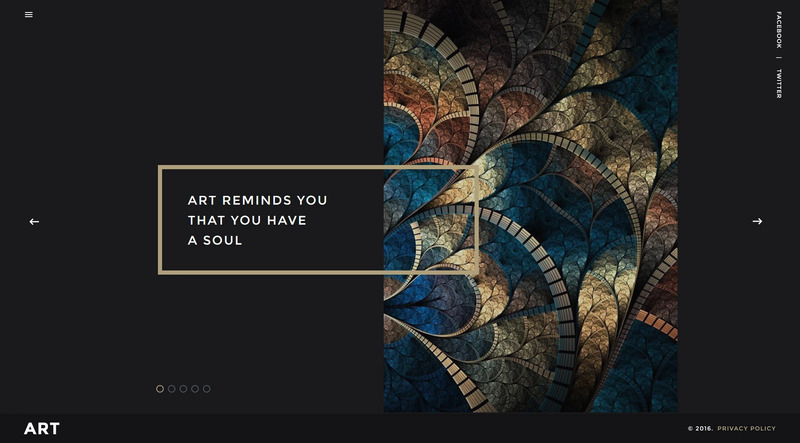 Parallax scrolling backgrounds add a feeling of depth to the theme’s layout. Thanks to the integration of a variety of working forms, it gets far easier to launch a user-friendly web resource in the shortest period of time. 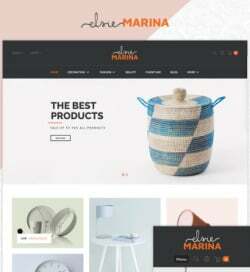 This is a multipurpose HTML5 template that is intended to match any project of yours. It comes integrated with a number of pre-designed page templates. A rich UI kit is intended to enhance the customization of the design. Multiple header and footer variations, blog layouts, and working forms are included for a quick start of personal and corporate web projects. The template is developed to bring a sleek, professional look to a variety of business projects. It is built in neutral hues, with usability in mind. A selection of Google web fonts allows you to personalize texts freely. A set of font icons is also pre-loaded into the package. This is a multipurpose HTMl5 template featuring a rich UI kit. It runs on the responsive Bootstrap framework, which makes all content adjust flawlessly to any display. 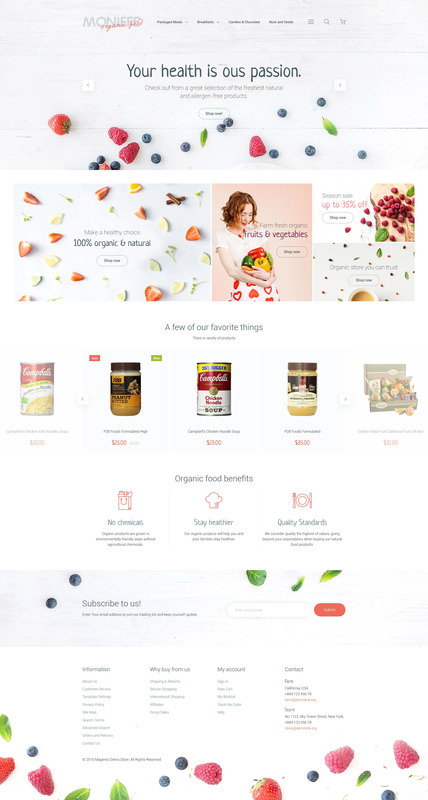 The template includes more than 40 pre-designed page templates, sets of header and footer layouts, 5 blog layouts, multiple gallery types, and a whole lot of other smart solutions are included to a quick start of a web project. Drag-and-drop functionality of this template allows the users of different backgrounds to personalize the layout without any coding knowledge. It also includes a bunch of impressive widgets, which allow you to enhance the functionality of your site with social media options, galleries, video integration, working forms, etc. The template is optimized for speed. Impressive visual effects are added to enhance the theme’s visual appeal. Elements of retro style add special charm to the template. Handwritten fonts bring a personal touch to the design. Simple, recognizable icons perfectly harmonize with the rest of the theme’s elements. As a user browses the content from desktop or handheld devices, the main navigation panel remains sticky. The theme is integrated with social media options. A block with user testimonials is intended to grow the site’s credibility. This is a GPL-licensed template suited for presenting business projects in a sleek and professional manner on the web. It is fully editable, providing you with a host of opportunities for bringing the desired look and feel to site without any technical knowledge required. Suited for financial and consulting organizations, the theme is pre-loaded with Lease Calculator widget, Stock Ticker widget, multiple content blocks, and compatibility with the most popular WordPress plugins. You may be looking for more website building options, so view WordPress themes for consultants. This fully responsive template will be a perfect starting point of education, society, and culture sites. This is a multipurpose solution featuring a rich UI kit. The template includes over 45 pre-designed page templates that are ready to go live out-of-the-box. Multiple header and footer variations are also included for a quick start of online projects. The template is intended to let you showcase travel tours in style on the web page, as well as sell them for profit. Sun Travel includes an eCommerce page template. A rich set of UI elements is included for a quicker and seamless personalization of the theme’s pages. Multiple gallery types are provided for a more impressive showcase of your offerings. You can also choose from 10 blog layouts. This touch-friendly theme is pre-loaded with impressive galleries and sliders intended for an impressive showcase of the content. Bold banners guide the users’ attention to special deals. A masonry gallery is bold and enhanced with a functional hover effect. The template is pre-loaded with a set of working forms and smart widgets. A sticky MegaMenu and live search are intended to enhance navigation. 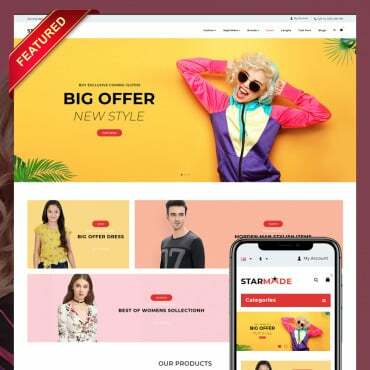 This is a GPL-licensed WordPress beauty theme, which can be used on an unlimited number of web resources and modified in any way possible. It is built with an intuitive drag-and-drop page builder called Power. WordPress Live Customizer is also included in the theme’s pack. Multiple layout options and content modules are added for a quick and seamless modification of the layout. Make use of this elegant responsive Joomla template to present art galleries on the web. It is fully integrated with social media options. There is also a social login option available. The main navigation panel is hidden and appears with a click on a sticky hamburger icon. Non-standard content positioning on the theme’s pages provides for an interactive browsing experience. Placed on dark-colored backgrounds, images look even more outstanding. 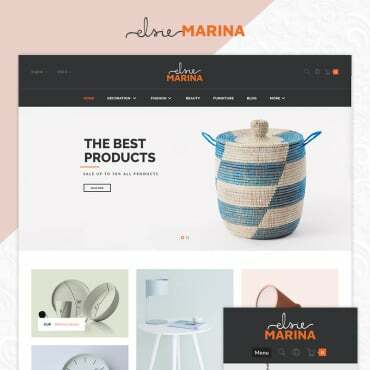 This functional minimalist template is best suited for selling fashion outfit and accessories on the web. It provides both desktop and smartphone users with an enjoyable shopping experience. A set of product banners draws extra users’ attention to the store’s special deals. Featured items are organized in a grid-based list. Star rating and user reviews are included to help the shoppers with a quicker decision-making. Boasting drag-and-drop functionality, this template will meet the needs of everyone looking for a simple yet effective solution to get started with a landing page. It comes loaded with a host of ready-made design blocks, which can be tweaked in any way possible. A number of cool widgets are also included in the pack. The template is built with attention to details. Content is brought to the foreground. Whitespace makes it far easier to scan through the data. Parallax scrolling backgrounds get the users immersed into an interactive browsing. A countdown functionality is added to keep people alerted on the time when certain deals will remain valid. The theme is developed for cafe and restaurant sites. Its layout looks eye-catching. Rhombic shapes add dynamism to the template. A sticky menu and live search help the users come across the desired pieces of content hassle-free. The theme captivates with creative photo galleries. Readable fonts and clear content hierarchy enhance the theme’s scannability. This is a functional eCommerce template intended for selling men’s clothes and accessories. It is fully responsive. Built with valid code, the template is compliant with the latest web standards. 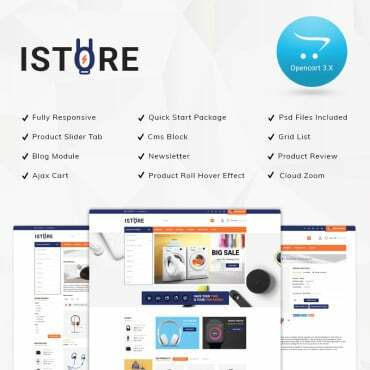 In addition to a variety of pre-designed page templates and smart eCommerce solutions, the theme includes a pack of custom modules for free. Here we go. These were the 22 best-selling themes for December 2016. Which ones did you enjoy the most? What is your preferred CMS for getting starting with an online project? Feel free to share your reflections below.